Washington Middle School teacher Melissa Charette is named the 2017-18 Regional Teacher of the Year by the Capital Region Educational Service District (ESD) 113. The National Board Certified teacher is one of nine candidates chosen by their respective regional ESDs and tribal schools as the Regional Teacher of the Year. This is the third time in five years that an Olympia School District teacher has been named ESD 113 Regional Teacher of the Year. A state selection committee will review and select one of the regional finalists as the 2018 Washington State Teacher of the Year. Olympia School District Education Foundation (OSDEF) Annual Breakfast raises more than $70,000 for the Principal's Emergency Checkbook Fund. Olympia High student Jasper McAvity qualifies as Semi-Finalist National Merit Scholar. New turf field and track opens at Capital High, beautiful new green sod is placed at Roosevelt Elementary and a brand new play structure opens at McLane Elementary. The field/track, sod and playground, as well as ongoing mini-building construction is the result of the February 2016 school improvements bond approved by voters. Four OSD middle school students are selected by the American Association of University Women (AAUW) to attend the 2017 residential Tech Trek STEM camp held at Pacific Lutheran University. The attendees this year included Brooke Christensen and Ava Wolin of Washington Middle School, and Kayla Quesnel and Iris-Rappin-Benge of Reeves Middle School. The four attended the camp in July. The Olympia Police Department presents an Internet Safety Workshop at Jefferson Middle School on October 5. The workshop is geared toward parents of elementary and middle school students to learn about curriculum being taught by the department to all 6-9th grade students in the district on "online harassment" and "sexting." District proclaims October "Walk to School Month" and participates in Intercity Transit Walk-N-Roll events throughout the school year. Washington State First Lady Trudi Inslee visits Olympia High School students at the Freedom Farmers program. She listened as students described the benefits of the program and toured the district-owned Muirhead Farm, an 18-acre property off Yelm Highway on Siskiyou Street. She then travelled to Olympia High School where she learned how products from the farm, as well as from other area farmers, make their way to lunch tables throughout our district schools. Olympia High students perform in "Beatles vs. Stones - A Musical Showdown" at the Washington Center for Performing Arts. District offers a series of free child development workshops facilitated by Candyce Bollinger and held at ORLA. Classes run from October to March. Three elementary parent workshops include: Positive Discipline, Safety without Fear and Anger. Five middle and high school parent workshops include: Managing your Parental Response, Developmentally Appropriate Expectations (11-19), Positive Constructive Communication with Teens, Effective Teen Discipline, Teen Relationships/LGBTQAI. Olympia High sophomore and Olympia Area Rowing team member, Emily Jaudon, brings home a gold medal from the 2017 World Rowing Youth Challenge. The 2017 International Rowing Federation World Championship and Youth Challenge were held in Sarasota-Bradenten, Florida. More than 900 rowers competed in the world championships and 312 of the top youth rowers in the U.S. competed at the Youth Challenge. Molly Foote, Capital HS senior, appears on Good Morning America to discuss the Halloween costumes she designed and wore to school every day in October. District launches new district and school websites. With input from the district and community, content is re-aligned to more intuitive locations and content is made more accessible and responsive on mobile devices and tablets. District and school sites include announcements, quick links, calendars and social media links to keep our school communities informed. Avanti Haunted School event draws hundreds, resulting in more than $10,000 raised for the student trip to the Oregon Shakespeare Festival in the spring. Capital High School volleyball wins the Class 3A state title for the first time in school history. The team claimed the title after winning the first, third and fourth sets against Mercer Island. Marshall Middle School joins an elite group of only 20 middle/junior high schools statewide that have been named a 2017 School of Distinction for being among the top 5 percent of highest improving schools. The award recognizes the Olympia middle school for sustained improvement over five years in English language arts (ELA) and math. OSD names this year's Classified School Employees of the Year. Honorees are Marilyn Dye, delivery driver with Child Nutrition Services, Michell Orwig, paraeducator at Garfield Elementary and Carolyn Poage, head custodian at Olympia High School. For the first time in Thurston County District Court history, the court held its small claims court calendar at Olympia High School. District Court Judge Brett Buckley welcomed more than 50 high school students from Michael Schaefer's civics and government classes. Students joined plaintiffs and defendants in the school's Black Box Theatre, where they observed the proceedings. Washington Middle School holds first ever STEAM (Science, Technology, Engineering, Arts and Mathematics) night. In open sessions, students and teachers are available to demonstrate how they use STEAM components in the classroom. STEAM is an educational approach to learning that uses Science, Technology, Engineering, the Arts and Mathematics as access points for guiding student inquiry, dialogue and critical thinking. The end results are students who take thoughtful risks, engage in experiential learning, persist in problem-solving, embrace collaboration, and work through the creative process. Capital High School Cougarettes Dance Team coach Jan Kiefer inducted to WSCCDA Hall of Fame. In Kiefer's 21 years of coaching at Capital, the team has made 20 state appearances including 15 top five finishes in the state. They have been district champions every year since 2010, winning top placement in multiple categories. Olympia High School boasts two Academic State Championship Teams. The girls swimming (3.858 GPA) and volleyball (3.883 GPA) teams have the highest combined grade point average (GPA) from among all Class 4A schools in their respective sports during the fall athletics season. teaches Chamber Choir, Concert Choir, Men's Ensemble, Women's Ensemble and Symphonic Choir. Honorees are selected based on the outstanding work they do each day to bring music to life for students. In a WMEA award letter, Schwartz is commended for his "dedication, pursuit of excellence and belief in the value of music education." He is also recognized for "making a difference every day that inspires others." 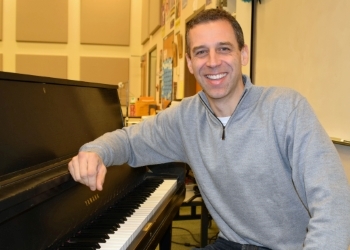 Schwartz will be recognized at the WMEA State Conference in Yakima on February 16. Capital High ninth and tenth grade students participate in "Boeing Manufacturing Day" at the Boeing Co. Renton facility. Boeing Manufacturing Day is a celebration of modern manufacturing meant to inspire the next generation of manufacturers. The event included a factory tour, hands-on skills demonstrations and special guest speakers. Capital High is one of eight schools in Washington state that was honored with an invitation to the event because they are a Boeing Partner School. The partnership began in the 2015-16 school year and offers students access to the CorePLUS Manufacturing Program. CorePLUS is a hands-on, manufacturing-based curriculum based on the "core" entry-level skills that just about every industrial business needs. The "PLUS" refers to more specialized skills specific to metal fabrication, precision machining and aircraft repair. surrounding Garfield including a cherry tree, insects, a bald eagle, many salmon and Mount Rainier. 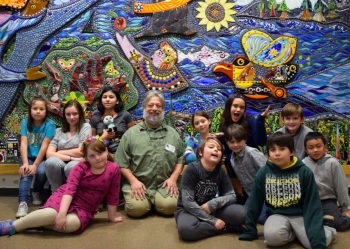 Students enjoy being able to touch and feel the smooth glass and finding something new in the mural every day. 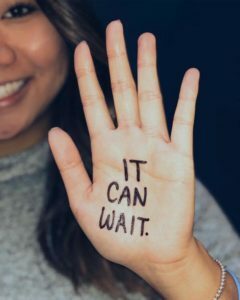 Olympia High students combat distracted driving through "It Can Wait" campaign. It can be hard to put down the phone, even with stiffer regulations in place for distracted driving. The campaign began with seniors Linh Le and Averie Stock, joined by junior Paige Adderley to spread awareness about the dangers of distracted driving. After a week-long campaign, the trio had collected 500 signatures from students pledging not to text and drive. Capital High School Chamber Choir performs during pre-show and intermission at Pacific Northwest Ballet's "The Nutcracker" in Seattle's McCaw Hall. groups, with each group providing a different service in the community. All students engage in their service project for approximately 2 1/2 - 3 hours before returning to school for a reflection activity and another school wide assembly to celebrate student efforts and accomplishments. 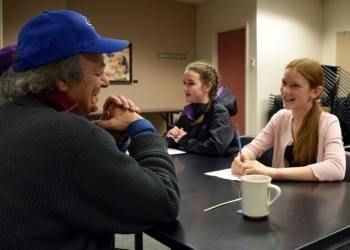 A few of the local organizations bene fitting from student volunteerism include the Olympia Senior Center, Harlequin Productions, Nisqually Wildlife Refuge, South Sound Reading Foundation and many more. OSD Employees rally to support the United Way of Thurston County with donations of more than $5,000 during the annual campaign. Capital HS Cougar Cheer team makes it to WIAA state competition for the first time in program history. The team places second in state competition! te Championship on February 11 in Renton. The district and the community gather to celebrate the grand opening of the new Pioneer mini-building. Work began last February on the 10-classroom, two-story mini-building as part of the school improvements bond approved by voters in 2016. Fourth Annual OSD Technology Fair is held January 20 at Capital HS. School booths showcase a variety of ways that students and teachers use digital tools to support the learning process. Visitors are invited to watch student technology challenge presentations in the afternoon. Each school has an opportunity to enter a student team in a technology challenge to be revealed the morning of the Tech Fair. Teams work collaboratively on the challenge and present to the audience in the afternoon. Top teams are recognized. Countdown to Kindergarten is held February 10 at Capital HS. Among other things, families learn about kindergarten program options, riding the bus, how to register for kindergarten and how to use the district's Family Access student information system to stay updated on everything from grades to lunch accounts. The Transportation department has school busses on site for parents to learn about bus safety and rules, and to see the inside of the bus. Capital High School will be opening their doors to a new and innovative program known as Cops and Kids, Bridging the Gap. Each Friday during Club Time, students will have the opportunity to work out and connect with local police officers. Besides the obvious fitness and overall health benefits, the Cops and Kids program gives both students and the community a chance to see our police officers behind their badges, as individuals and advocates of safety and wellness. As the workout program progresses, students grow from being pupils, learning and practicing the routines, to leaders, coaching and encouraging their peers and the officers. Voters approve technology and safety replacement levy. Olympia School District voters approve a four-year technology and safety replacement levy in a February 13 Special Election. The levy will raise an estimated $35.4 million over four years (2019-2022) to help pay for increased student access to technology, as well as safety projects district-wide. 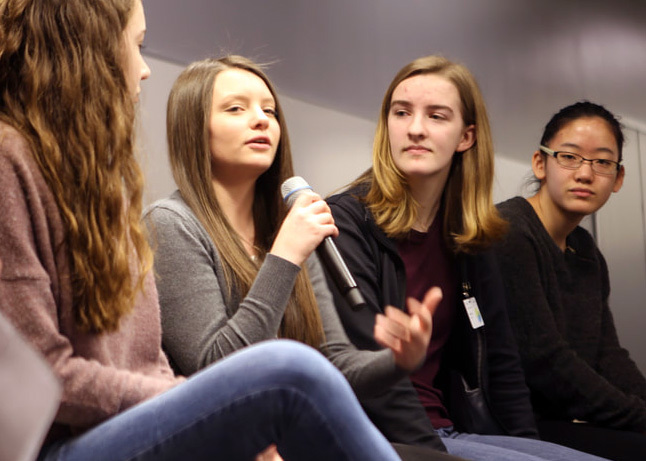 Capital High students receive top honor at Puget Sound All Girls Film Festival. The themes for this year's festival were Stereotypes, Empowerment and Inspiration. Jenna Cusack and Abby Dyck created a short film based around stereotypes. Submissions were judged by female alumni from schools in the Puget Sound along with professional women in the media industry. District begins planning for the development of the 2018-19 OSD budget and offers several forums for the community to have a voice in the process. On February 28 at Jefferson Middle School and March 7 at Washington Middle School from 6:30-8 p.m. the community is welcome to attend to share budget priorities with district leadership. In early March, the district will post an online budget survey to the OSD website. Kindergarten students from Centennial Elementary make Valentines for Veterans and first responders and are featured on camera with reporter Drew Mikkelson on King5 News on February 14. Olympia High School senior Imani Mabwa-Childress is awarded a $1,000 scholarship from the Thurston Group of Washington state. The scholarship was presented during the annual Martin Luther King, Jr. banquet at South Puget Sound Community College. The OSD Players present Hello Dolly in support of the Olympia School District Education Foundation grants program, providing thousands of dollars to teachers and other staff to pay for supplies or projects that aren't covered by school district funds. Garfield Elementary kindergarten students in Ms. Hoffman's class are treated to a popsicle party by the Olympia Police Department for winning the "Name the Seasonal Scarecrow Officer" contest this fall. Avanti junior Juliet Huttar is named the 2018 Lakefair Queen. 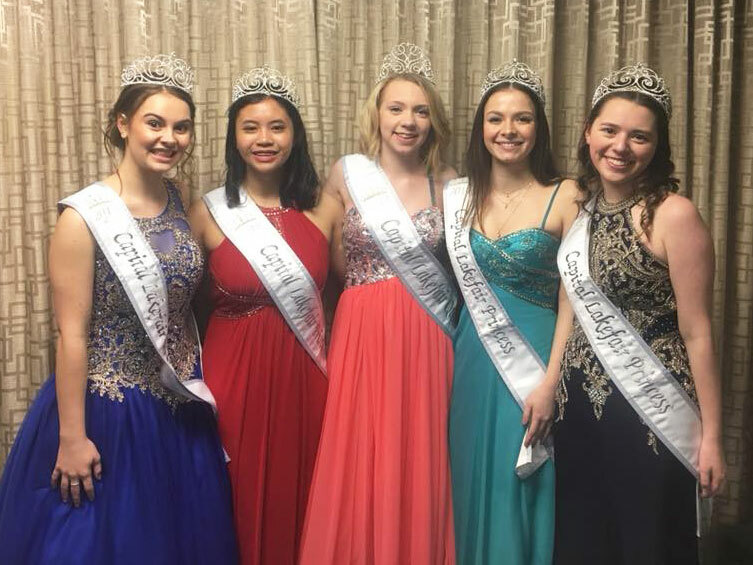 This is the second time in the last four years that the queen has been from Avanti, and Capital Lakefair hasn't had a queen from outside the Olympia School District since 2011. The 2018 Lakefair princesses include Kennedy Baydo of Timberline, MadyRavelo of Tumwater, Sage Myers of River Ridge and Kady Hautala of Capital. District selects two teachers for the 2018 OSD Teacher of the Year. Lisa Estcourt, reading and intervention specialist at Madison Elementary and Blue Peetz, Freedom Farm teacher at Olympia High are recognized for the positive difference they make to their students, their schools and their profession each and every day. 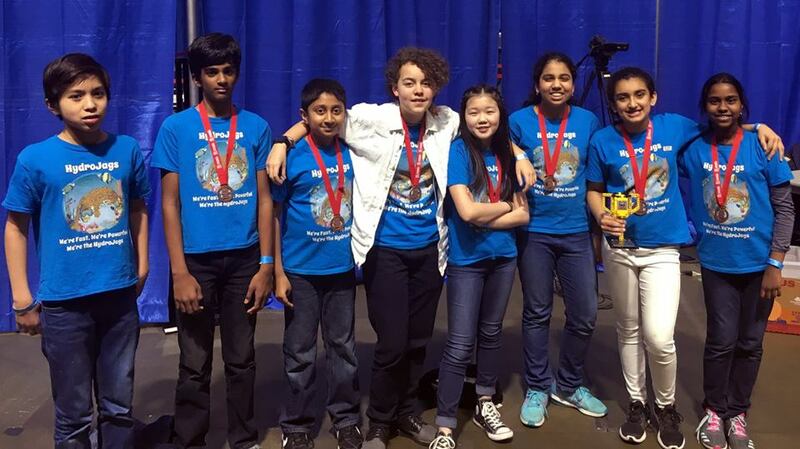 Jefferson Middle School represented the Olympia School District at the Western Washington FIRST LEGO League (FLL) State Championship, which took place at the ShoWare Center in Kent. Team 11388 (HydroJags) earned the Teamwork Award, one of only eight special awards presented at the competition. District names two educators as this year's Olympia School District Teachers of the Year. Lisa Estcourt, reading intervention specialist at Madison Elementary, is this year's OSD Elementary Teacher of the Year. Blue Peetz, an instructor at the Freedom Farm, is this year's OSD Secondary Teacher of the Year. The Biology faculty from Olympia High School was honored as "Partner of the Year" for 2017-18 by the Native Plant Salvage Foundation! The team was commended for "years of encouraging students to participate in community service with a biological emphasis" and for the "particularly large contribution" Olympia High students have made to WSU programs during the past year. Capital High School Alumni and athlete Kerith Burke is currently a sideline reporter for the Golden State Warriors. Jefferson Middle School eighth grader Sophia Babb had the honor of opening the Washington State Senate session on March 1 by reciting the Pledge of Allegiance in American Sign Language (ASL). Not only did Babb recite the Pledge, but she also served as a legislative page with OSD ASL Interpreter Kristina Estep right beside her each day, facilitating her experience. Capital High School Business and Marketing teacher Brenda G rabski has been named the 2017 Washington State DECA Adviser of the Year! Grabski has been at Capital High for two years, is the DECA Co-Adviser, and teaches IB Business Capital High School DECA studentsManagement, Intro and Advanced Marketing, and Student Store Management. Jeanette's Joy, the Richard and Jeanette Levesque Memorial Music Fund is established through the Olympia School District Education Foundation. The fund will help support music departments across the Olympia School District to help purchase instruments or accompanying items. There will also be college scholarships available each year to two graduating senior band students wishing to continue their education. Jefferson Middle School eighth grader Sophia Babb had the honor of opening the Washington State Senate session on March 1 by reciting the Pledge of Allegiance in American Sign Language (ASL). Not only did she recite the Pledge of Allegiance, she also served as a legislative page with Olympia School District ASL Interpreter Kristina Estep right beside her each day, facilitating her experience. Capital High School senior Mylo Lang scores in the top seven of 50 competitors at the SkillsUSA competition at The Boeing Company. Skills assessed during the competition include job interview skills, hand-drilling aluminum structures, driving solid aluminum rivets, blueprint reading, setting bolts, hylocks and other aviation-specific fastener and safety writing. Jefferson Middle School mathletes win county-wide MATHCOUNTS competition and advance to state level competition. 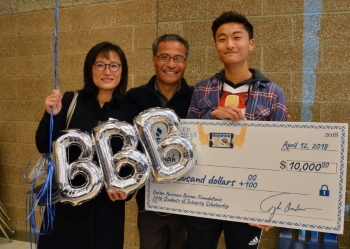 Olympia High School senior Jonah Shin wins the $10,000 Better Business Bureau Students of Integrity Scholarship! Jonah created a 90-second video that demonstrated how BBB helps people become smart consumers! Watch the Video. The Roosevelt Elementary mini-building is dedicated on Friday, April 20. 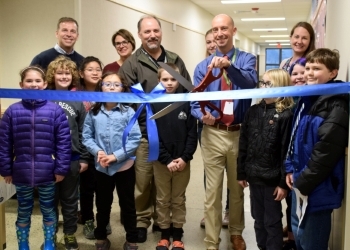 Roosevelt Elementary is the third of five two-story classroom mini-buildings to open its doors. Construction continues on the McLane and Centennial elementary school mini-buildings, approved by voters as part of the 2016 school bond. District announces 2017 Teachers of the Year. This year's OSD Elementary Teacher of the Year is Lisa Estcourt, reading intervention specialist at Madison Elementary and Blue Peetz, an instructor at the Freedom Farm, is this year's OSD Secondary Teacher of the Year. Boston Harbor immerses students and families in first interactive STEAM day and night. With help from the Hands on Children's Museum and guest presentation by parents, students explored a variety of occupations in STEAM fields including engineering, biology, food science and more. Olympia High School Economics Team students win trip to New York City to compete in the National Economics Challenge Finals. The students, Aiden Farmer, Hanbich Lee, Tom Pree and Kaylee Shen qualified for the trip to finals by placing in the top eight of 35 state championship teams. Lincoln Elementary celebrates two-decade partnership with school in Santo Tomas, Nicaragua. Lincoln and Ruben Dario are "sister schools," helping to raise cultural awareness and foster sustained relationships and understanding between the peoples of Santo Tomas and Thurston County. Capital High School senior Mylo Lang attends first ever Washington STEM Signing Day at The Museum of Flight. Sponsored by The Boeing Company, STEM Signing Day celebrates high school seniors from around the state who have made commitments to continuing education programs focusing on STEM. Lang signed his "letter of intent" and hopes to hire directly into Boeing after graduation. District middle and high school robotics/STEM teachers host Middle School Girls mini STEM Camp to generate interest in STEM fields and robotics. ORF Team 4450 assisted with the camp where district middle school girls were introduced to building and programming robots and working with metals and a variety of metal shop tools. 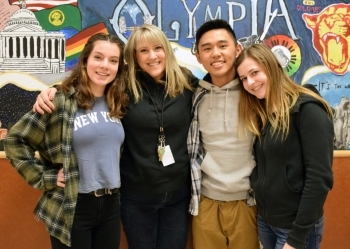 Olympia High School (OHS) receives several grants to build cultural competence and resilience. The OHS Library is one of six recipients of a $5,000 American Association of School Librarian's Inspire Collection Development Grant. The library and English departments also received a $5,000 Safeway/Albertson's Innovation in Education Grant. Capital High School Girls 4x200 Relay Team achieves fastest time among all Washington teams at the Oregon Relays, and at that time, marked the top performance for any 3A program in the state at the distance. 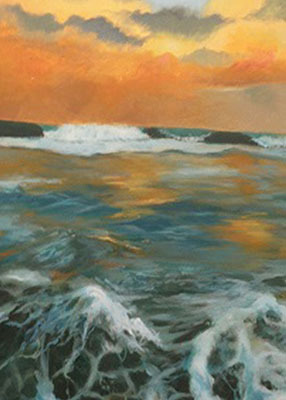 Olympia High School junior Mary Donaldson wins Honorable Mention for her painting titled "Ocean" at the statewide level of the 45th Annual Superintendent's High School Art Show! This is a high honor for the student, teacher, school, and district. 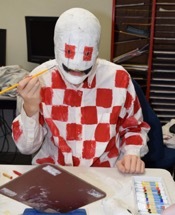 Students first compete in the regional high school art shows that are held in each of the nine Educational Service District (ESD) regions, where the top judged artwork moves on to the state show. Capital High School baseball team takes 3A South Sound Conference Title, a shared title with Central Kitsap and Gig Harbor. This was followed by their first state playoff win in 11 years. Four Olympia High School juniors are selected as Washington Aerospace Scholars. Danielle Miller, Nicholas Puntillo, Owen McGuigan and Llewyn Merrill are among the talented students from across the state whose academic performance on the Washington Aerospace Scholars (WAS) Phase One curriculum qualified them for Phase Two - the WAS Summer Residency! Phase Two is a six-day experience that will be held at The Museum of Flight in Seattle during three sessions throughout June and July. In each session, four student teams cooperate to plan a human mission to Mars with support from professional engineers/scientists, university students, and certificated educators. Capital High School's Jenna Cusack won top honors for her film, Control. at the Washington State Thespians Conference where more than 54 schools and 1,500 students were represented. Cusack's film focuses on bullying and violence and schools. More than 130 students, families, community members and educators gathered at the Hotel RL May 29 & 30 for an Educational Summit. The Olympia School District’s 5-year Strategic Plan expires at the end of 2018, and this Summit marks the beginning of the district’s effort to develop an educational road map for the next five years and beyond. Four Olympia High School (OHS) students and Economics Club members competed in the National Economics Challenge finals in New York City May 18-21. Students Aiden Farmer, Hanbich Lee, Tom Pree and Kaylee Shen, qualified for the trip to the finals by finishing in the top eight of 35 state champion teams in a regional competition. Olympia High school student Lindsay Lucenko won the Thurston County Bar Association’s 2018 Law Day Speech Contest. This year’s topic was to address the legal, societal, and moral balance between First Amendment rights to freedom of speech with so called “hate speech.” Lucenko received a cash prize for her win.